You might have already faced the problem of different attributes and attribute values and the inability to import them to Magento 2. If not, here is a brief description. Since different systems have unique requirements regarding the way information is stored in their databases, you cannot take the data output of one system and move it into another one without editing the info. Below, we shed light on how to match third-party attribute values to the corresponding Magento 2 values during import. By default, you can match third-party attribute values to the appropriate Magento 2 attribute values manually. The following step by step tutorial explains how to do that. First of all, export product data from an external system or get an update from a partner. Open the document and edit it. You need to match both attributes and attribute values to the corresponding Magento 2 parameters. If it is not a CSV file, you should convert it to the supported format. Now, when attributes and their values are matched and saved as a CSV file, you can start the Magento 2 import. The only positive aspect of the standard way of matching attribute values for Magento 2 import is that you make a third-party output file suitable for updating your store database. Indeed, it’s your primary goal, and you should achieve it anyway, but what are the drawbacks of the described approach? Unfortunately, the standard way of matching attribute values is exceptionally far from being ideal. There are two core problems with the described procedure: complexity and volume. You need to edit substantial data files making them suitable for Magento 2 import. The more attributes and their values the data file consists of; the more work should be done. The procedure requires extra concentration and patience increasing the probability of mistakes. Thus, you need to double check everything, and if there is an issue, you won’t import the external output correctly, or in the worst case scenario, the update won’t be possible. Considering that, we’d like to introduce you to an entirely different way of attribute values matching. Meet the Improved Import & Export extension – your number one time-saver when it comes to making data from external systems suitable for Magento 2 import. It already does a lot of work to make every import intuitive and straightforward (we describe the corresponding features below), and attribute values mapping is among the provided options. The feature is implemented along with the default attributes mapping. Thus, you can match external attribute values while configuring attributes themselves. You need to create a new import profile. While in the mapping section, select an external attribute you want to match to the corresponding Magento 2 attribute. Do the mapping and repeat similar actions for the values of the selected attributes. That’s all! Values are successfully mapped! Let’s explore a simple example to illustrate the enhanced mapping functionality introduced in the Improved Import & Export Magento 2 extension. For instance, “color” is a default Magento 2 attribute. “red” is its value used in the Magento database. Your vendor provides a data file where the same attribute has three similar values: “pink”, “light-red”, and “dark-red”. The Improved Import & Export Magento 2 extension lets you map all three values to the default one (“red”) right in the admin section of the module within a few clicks. Just point all third-party attribute values to the corresponding Magento 2 value. By choosing this approach, you save tons of time and dramatically decrease the probability of errors. Furthermore, you don’t need to convert the external output to CSV, since the Improved Import & Export Magento 2 extension supports multiple file formats. Another significant benefit provided by our module is the ability to save the created mapping scheme for further updates. Thus, mapping turns into a one-time procedure as opposed to the default matching described above. The only drawback of the user-friendly attribute values mapping for Magento 2 import is the necessity to install a third-party extension, but what is Magento without the vast ecosystem of modules? To illustrate the mapping potential of the Improved Import & Export extension, we should describe all corresponding sections of the module. In addition to attribute values mapping, it also offers attributes mapping and category mapping. Besides, we should say a few words about the ability to import Magento 2 attributes, attribute values, and attribute sets as well as the opportunity to modify attribute values during import processes. If the import file has a custom structure, you can always make it suitable for the Magento 2 requirements with the help of the mapping section of the Improved Import & Export Magento 2 extension. It offers the ability to apply presets for the import tables. Thus, you can map external attributes with the ones in your Magento 2 database within just a few clicks. Select a platform from which you are importing the update file and apply the predefined scheme. Below, you can see how to do that for the migration from Magento 1.x to 2.x. Select the corresponding preset from ‘Select a Platform’ field. Note that the links to the sample files are provided. Next, click the ‘Load Map Attributes’ button. Now, the extension will map attributes automatically. Specify a corresponding import attribute. Set a default (hardcoded) value for selected attributes if necessary (it is added for each imported item in the appropriate column). Click on the black bin icon to remove a mapping item if necessary. You must admit that it is a very user-friendly way of attributes matching. When the mapping configuration is prepared, you only need to hit the ‘Validate’ button. This action will validate mapping. In case you are going to import categories, the Improved Import & Export extension will help you seamlessly map external values to ones used within your e-commerce website. To adjust the categories of the products from the import table, proceed to the Map Categories section. First of all, you should load all values from the ‘categories’ column of the import table. Hit the ‘Load Categories From Import File’ button. Now, the Improved Import & Export extension knows what categories are specified in the import table. You can click the ‘Add New’ button to map the first category. The ‘Import category path’ field lets you select any categories from the import table. Choose the one you want to map. Finally, you can select a category from your Magento 2 website in the ‘New category path’ field to move the product to it. Furthermore, the Improved Import & Export Magento 2 extension provides the ability to add new categories right from the import job. Hit the ‘New Category’ button, specify a name of your new category and select its parent category. The Improved Import & Export Magento 2 extension provides the ability to revamp the manual attribute import creation entirely. Instead of recreating each attribute and its value manually, you can save tons of time and effort by importing a single table. The module allows importing attributes, attribute sets, and attribute values using multiple file formats, including CSV, XML, JSON, ODS, and Excel. At the same time, you can use them for the corresponding export processes. As we’ve just mentioned above, it is possible to apply mapping for import to modify any third-party attributes in accordance to the default Magento 2 requirements. A seamless transfer of all attribute details is another benefit of the Improved Import & Export Magento 2 extension. Freely import/export properties, options, swatches, etc. And you can always rely on a sample file provided by the plugin. Creating new attributes on the fly during import is another robust feature you will be able to leverage after installing the Improved Import plugin. Let’s see what you can create with the help of the extension during the import. First of all, it is attribute groups, attribute set names, and multiple attribute sets. Next, you can leverage your store views to create attribute labels and options on their basis. And as mentioned above, new attributes can be generated on the fly. The corresponding update functionality of the module lets you renew data for attribute labels and option values for each store view individually. In addition to the ability to map attribute values during Magento 2 import, the Improved Import & Export module lets you edit them using multiple rules. First of all, you can add a prefix or/and suffix to SKU and other attributes. For instance, it is possible to create a rule that will add the “light-” prefix for all “red” values of the “color” attribute. Next, you can easily split data from one block to multiple blocks if it is related to different products of values. 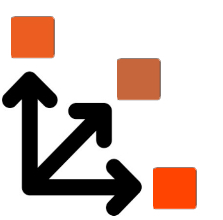 The opposite action is possible as well: merge data from various blocks into one if necessary. Note that you can manipulate the values in the source file with the help of RegEx. The Improved Import & Export Magento 2 extension lets you create multiple combinations using these rules. Note that a pipe symbol is utilized for separating values. A new attribute column should start with ‘attribute’ to let the Improved Import & Export extension understand that it is a new attribute. For further information, proceed to the official manual of the Improved Import & Export Magento 2 extension: Product attributes import. To give the full picture of how the attribute values mapping can be improved, we should describe two more features: extended connectivity options and advanced scheduling. As mentioned above, Magento can import only CSV files. Thus, you should convert the third-party output into them. The Improved Import & Export Magento 2 extension solves that issue by introducing support for multiple file formats. Now, you can freely import data using CSV, XML, JSON, ODS, and Excel files. Furthermore, the Improved Import & Export module introduces multiple file sources so that you can transfer data using either a local or remote server (FTP/SFTP), a Dropbox account, or import them from a direct URL. Note that all compressed files are unzipped automatically. For further information, check this article: How to Import Compressed Data to Magento 2. At the same time, you can fully leverage SOAP API, REST API, and GraphQL API connection for the same purposes. Note that all the extension’s features work seamlessly with all file formats, data sources, connection types, and entities. It means that you can freely map attribute values during the Magento 2 import via API, from Google Sheets, or when downloading a table from an URL. Now, when you know that it is possible to turn any external output to a data flow suitable for Magento 2 using the flexible mapping interface, we should also draw your attention to the ability to automate both import and export processes. Since the Improved Import & Export Magento 2 extension supports cron, you can create a custom update schedule. At the same time, the module offers a list of predefined values. Just select one most suitable for your business needs. If necessary, you can fully customize it using the standard cron syntax. Besides, the extension enables you to create profiles designed for a manual run only which are useful for infrequent updates. Also, you can run every process manually in an asynchronous mode if necessary. Let’s imagine a situation that your partner has sent a vital update file, but the appropriate import process is scheduled for tomorrow. With the Improved Import & Export extension, you can launch it whenever you want. Take a look at the following gif image as it illustrates the corresponding section of the plugin. You no longer need to edit attribute values manually. Now, you can do that right in the Magento admin with the help of the Improved Import & Export extension. It dramatically simplifies the procedure, helps to save tons of time, and reduces the probability of errors caused by the human factor. For further information about the module, follow the link below. Contact our support if you still have any questions.